It is no great secret that I am a great big fan of the Candle restaurants here in New York: Candle Cafe, Candle 79, and Candle Cafe West. These three extraordinary dining destinations offer healthful, hearty, and celebratory vegan fare, year in and year out. Candle Cafe has been in business since 1994, serving organic, vegan food that continually wins over plant based eaters and omnis alike. I’ve taken so many friends and family members to the restaurants, and the food always wins over new diners. Candle food is a perfect combination of comforting and innovative. 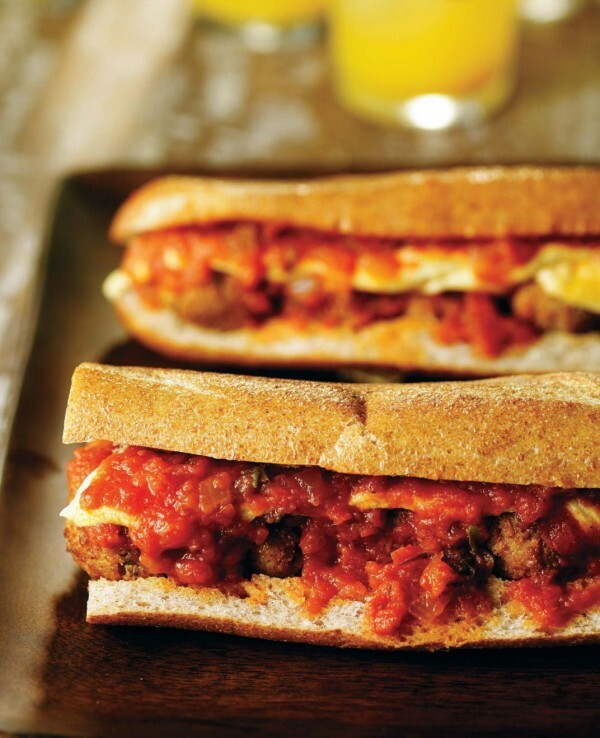 Many of the dishes, from the famous sandwiches to the seitan picatta or the spaghetti with wheatballs, evoke familiar textures and tastes and recipes. But they all feature unique and creative twists: a dusting of tapioca or cashew cheese here, a unique poblano tahini dressing there. 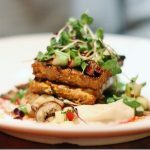 The seitan is made in house, and it’s spectacular. The vegetable dishes are consistently cooked to perfection, never overdone or underdone. The dressings are all amazing (every single one of them). And the desserts? Totally authentic. It has always seemed to me that the Candle restaurants evoke a spirit of celebration and festivity. It’s clear that the restaurants are on a mission to make vegan fare feel special, and of course the restaurant is famous for its holiday meals (check out my post on a Candle 79 Thanksgiving a few years back). So it’s wonderful news that the Candle team has finally published a holiday cookbook: Vegan Holiday Cooking from Candle Cafe. And some of the restaurant’s fabulous cocktails. 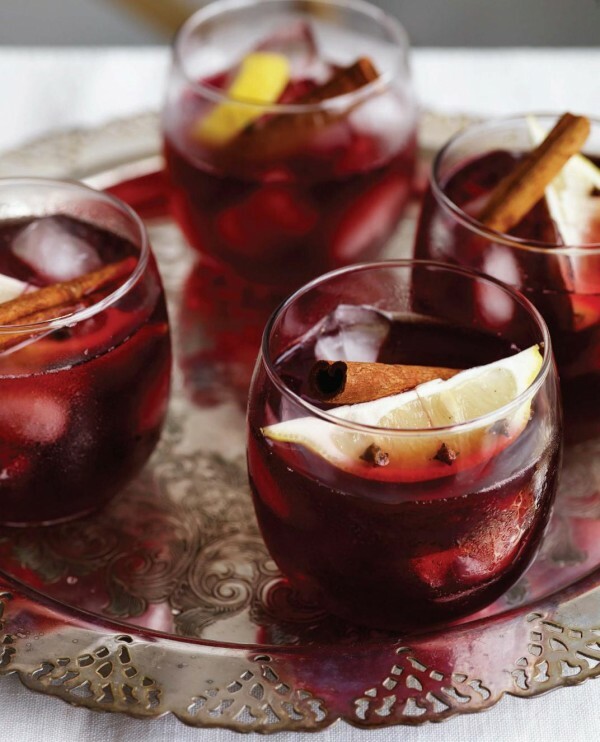 Right now, I’m ogling the Christmas Pomegranate Punch! 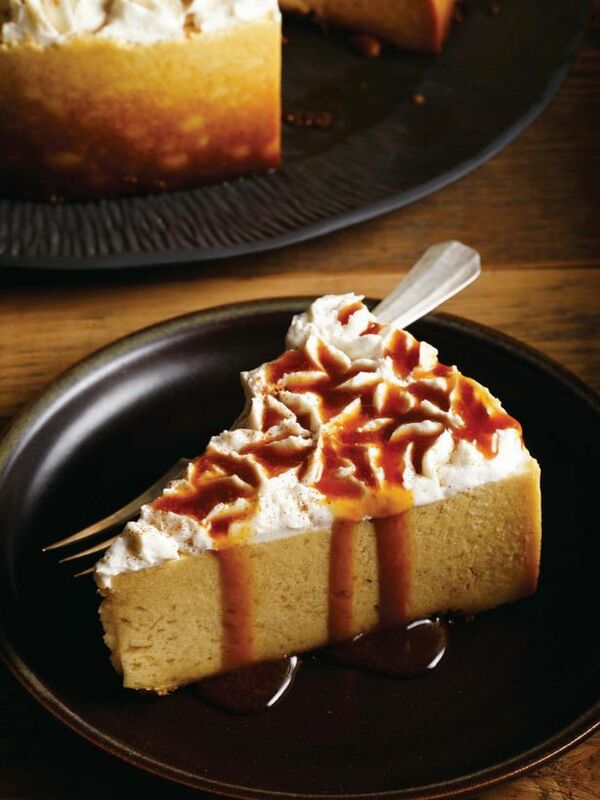 And who could forget indulgent desserts? 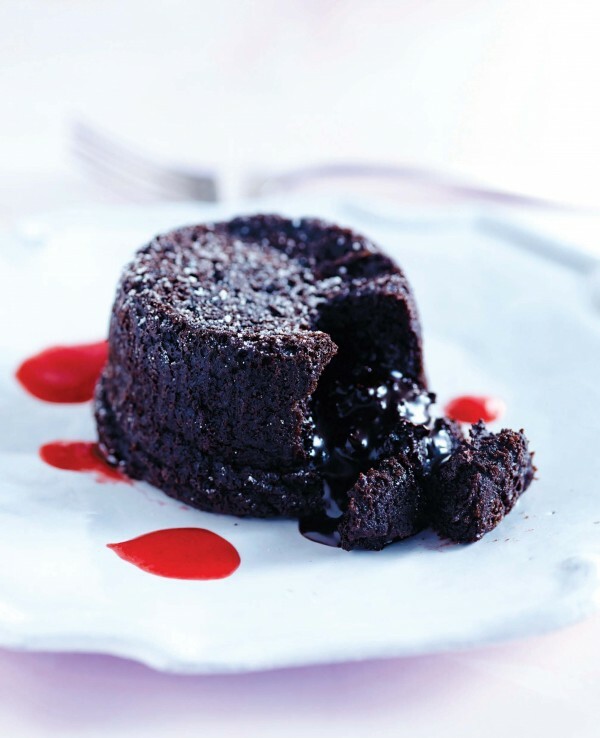 The molten chocolate cake with raspberry coulis, a Valentine’s day option, looks amazing. One of the best things about the book is the fact that it doesn’t only focus on the winter holiday season: it includes Lunar New Year, Valentine’s Day, Passover, Easter, Cinco de Mayo, and the 4th of July. Of course Thanksgiving, Christmas, and New Year’s Eve are rich chapters, but one doesn’t feel that the book is dominated by pumpkin, cranberry, or Hoppin’ John, the way that some holiday collections are. I also appreciate the book’s variety. 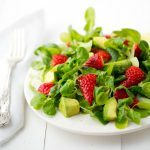 You’ll find hearty entrees and rich desserts, but you’ll also find side dishes, salads, grain pilafs, and more. The book will walk you through all of the dishes you need to prepare a fulsome, well rounded holiday feast. Or, if you prefer, you can simply dip into its pages to find foolproof, seasonally appropriate recipes that are destined to be crowd pleasers. 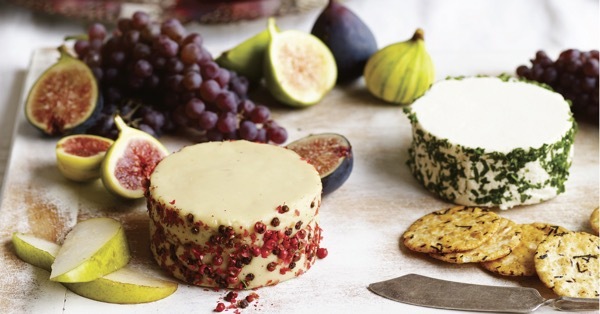 If you’d like to prepare the gorgeous, herbed cashew cheese at home, here is the recipe. To make the cashew cheese, the day before serving, put the cashews in a bowl and add enough cold water to cover them. Cover and let soak overnight in the refrigerator. Drain and rinse the cashews and transfer to a food processor. Add the lemon juice, nutritional yeast, oil, and salt and blend until smooth, 10 to 12 minutes. If you find that there is not enough liquid in the food processor to blend the nuts, add a bit of water [note from Gena: I added a whole half cup]. Transfer the cashew paste to a bowl and refrigerate for 1 hour to firm. Remove and pack the paste into a 4-inch ring mold. Remove the mold and press into the outer edges a mixture of parsley and chives. To serve, arrange the cheeses on a platter and garnish with your favorite assortment of crackers and fruits. 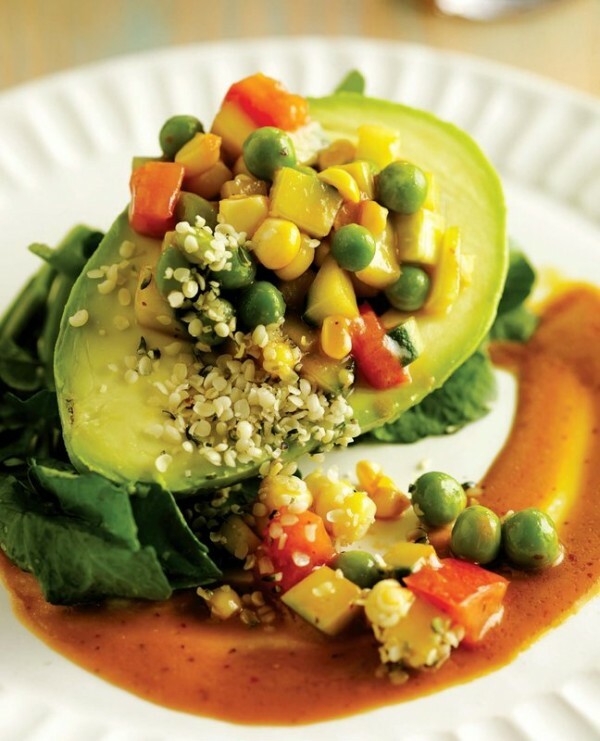 This recipe is courtesy of Vegan Holiday Cooking from Candle Cafe, (c) 2014 by Candle Family Foods, LLC. It’s a perfect cheese, especially to serve in a mold form: it’s dense and thick and is really reminiscent of a goat cheese. Feel free to add garlic, extra nooch, or whatever serves your fancy. 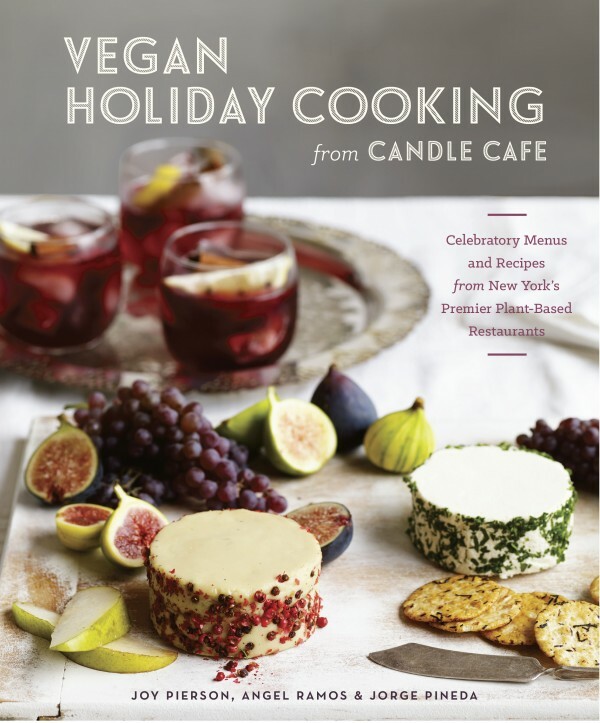 I’ve had such a fun time exploring this special holiday collection, and in honor of the holiday season, the folks from Candle are offering one lucky US or Canadian CR reader a copy of Vegan Holiday Cooking from Candle Cafe. This giveaway will run for one week–enter below to win! As always, I wish all of my readers a happy holiday season. See you back here tomorrow with a special Green Recovery post! All photos copyright (c) 2014 by Jim Franco. love mushroom stuffing and vegan pumpkin pie with whipped coconut cream. yum! 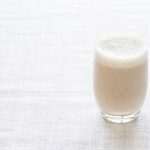 Vegan eggnog like the one you posted on food52.com! My fav. Vegan holiday dish is cashew cheesecake! 😀 with raspberry sorbet on top! My new favorite vegan holiday dish is that root vegetable pie from food52. It was awesome! Sweet potato casserole with coconut milk. There is literally nothing more delicious than that. My brother made me this awesome stuffed seitan roast with a nutritional yeast based gravy! Super delicious. I love stuffing. I only have it for Thanksgiving and sometimes Christmas too. I already love Candle Cafe and I have yet to make it to NYC and visit for myself!!! I appreciate all they do to make vegan fare shine and pallet able 🙂 Hope to win!! Growing up we always had biscuits and gravy on christmas morning. Now my parents and I are vegan so we veganized it and it’s still delicious! My favorite holiday dish is gingerbread cake, and I finally found a vegan gluten-free recipe that is amazingly good. At Thanksgiving I love pumpkin pie and at Christmas I look forward to gingerbread cookies. 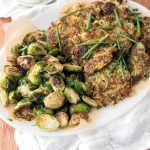 The savory dishes don’t matter as much, though I always am happy to have roasted brussels sprouts and a leafy green salad. I don’t have a favorite holiday dish. 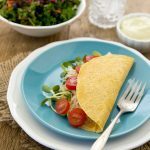 I love reading blogs like yours and trying something new! I’m really loving homemade cranberry sauce these days. I had actually never made my own before this year, and now that I’ve done it, I want to eat it on everything. Wow, that cashew cheese looks so nice! My favourite holiday dish is probably roasted root vegetables – I especially like sweet potato and parsnip! Love Candle! Thanks for sharing this. I think I need the book just so I can make that molten cake! Stuffing is my favorite, hands down. My favourite holiday dish is a classic – a flavourful lentil loaf with vegan gravy and cranberry sauce! I love vegan pumpkin pie!! My seitan pot pie is one of my favorite holiday dishes. I love Candle food! It’s impossible to pick one favourite holiday dish, but I love lentil and mushroom shepherd’s pie. And sweet potato pie! ROASTED ACORN SQUASH! I don’t even top it with oil or sugar. Just straight up squash. It gets a lil’ char around the edges and holy (no) cow….I’m missing the taste already! I make a vegan pumpkin gingerbread with a vegan cream cheese frosting. So decadent and so good! the best part about holiday cooking? it’s the fact that you know that the food was made with love. that said, i love me some moroccan spiced veggies (butternut squash, sweet potato, tomato, zucchini, kale & chickpeas) and a nice slice of (pumpkin or apple) pie for dessert! i love their food. Have had great success with the other cookbooks. Can’t wait to try this one! Looks like a beautiful cookbook!